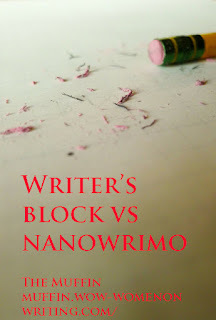 Back in early October I blogged about doing the prep work needed to take on NaNoWriMo (National Novel Writing Month). I had hope and ambition. I made plans. The universe laughed. Little did I know that I was going to get a rewrite request right before Halloween. I got that done but I didn’t get the NaNoWriMo prep work done. I had my characters and settings. I even had some material culture. While I had a premise and a vague idea what would happen, I didn’t have anything approaching an outline. No worry! I could do this. Toward the end of week one, I turned in my rewrite and jumped into writing. I would outline and draft simultaneously. This time the universe wasn’t just laughing. It was rolling on the floor, kicking its feet. Frankly, it was a little embarrassing. For two days, I worked on my draft. How many pages did I accomplish? I managed to write two lackluster pages. Yes, I got a few more clues into what would happen in my story but I finally had to face reality. My outline wasn’t coming together and I couldn’t get the writing to flow. I was blocked. Maybe not entirely but if this was plumbing or an artery we’d be panicking. What to do? Here are the steps that helped me. Step 1. Acknowledge the block. After two days of beating my head on my keyboard, I finally faced facts. Block acknowledged. Step 2. Look for possible causes. I was exhausted physically and mentally so it wasn’t hard to figure out. While working on my rewrite, my father had a health setback, two distant friends lost their mothers and my son’s scout master lost his wife. No quick fix here. I needed time and space. Step 3. What can you do about it? I could recharge. I knitted cactus pin cushions. I started knitting a lace shawl. I read and read and read some more. Step 4. Once you’re ready to get back into it, assess the progress you had made. Time to face reality. I needed an outline but whenever I tried to work on it, I felt adrift. I had to be missing something. The best planning tools that I know are The Plot Whisperer book and workbook. I’m now rereading these, working my way through the exercises and adding to the scrapbook about my story. I don’t have a full outline yet but I do have my main character’s emotional arc, the action arc and the thematic arc. Same for my bad guy. I’ll start writing when I have a complete plan. Until then, I’ll work on other things and that’s really okay. I’ve submitted a piece of middle grade nonfiction to an agent. I’ve rewritten an early reader and sent it out to an ESL publisher. Writer’s block isn’t the end of the world. It’s just a signal that you need to move forward on a different path. Sue--I've not been able to really make any NaNo progress for the past two days and today doesn't look any better (mid-quarter progress reports are due on Tuesday, which means I need to catch up on my grading). Good luck juggling all the projects you have up in the air. In the end, if you aren't even close to 50,000... at least you have something down... at least you have a start, which makes you a winner. I think it's great when people are willing to share their real life Nano experiences. You even provided some helpful tips to deal with the difficulties. Thanks, Sue! Sioux: Still haven't started the actual writing but I'm getting a better handle on the story. A new setting came into being this morning in yoga. At least one new character (orphan or does he have a family), came into being as well. Angela: Congratulations! So glad you like what you've written. That is an achievement! MP and Janey: You're welcome. Let's Talk Turkey About Writing!